Matt Rhodes is one of my favourite concept artists in the business. Why? Because his style, using bright, colourful cartoon characters for games that are often very dark and serious in tone, is a breath of fresh air in an industry where a lot of art ends up looking exactly the same. 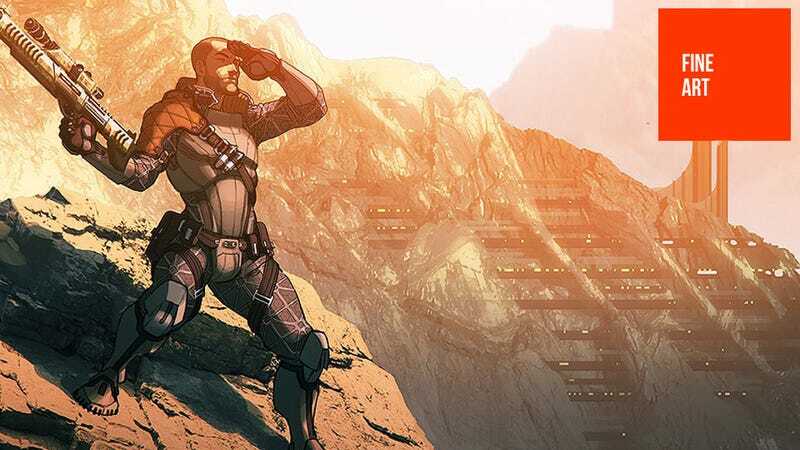 We've featured his art previously on Kotaku, and you seemed to love it, so I figured I'd post more tonight, this time covering his work on Mass Effect 3. A warning, though: half of these are from the end, or very near the end of the game, so obviously there are spoilers ahead. The other half? They're not even from the game itself; they're concepts drawn up by Rhodes after Mass Effect 2 wound up. It's interesting seeing the contrast in his ideas compared to how it actually came to a close.